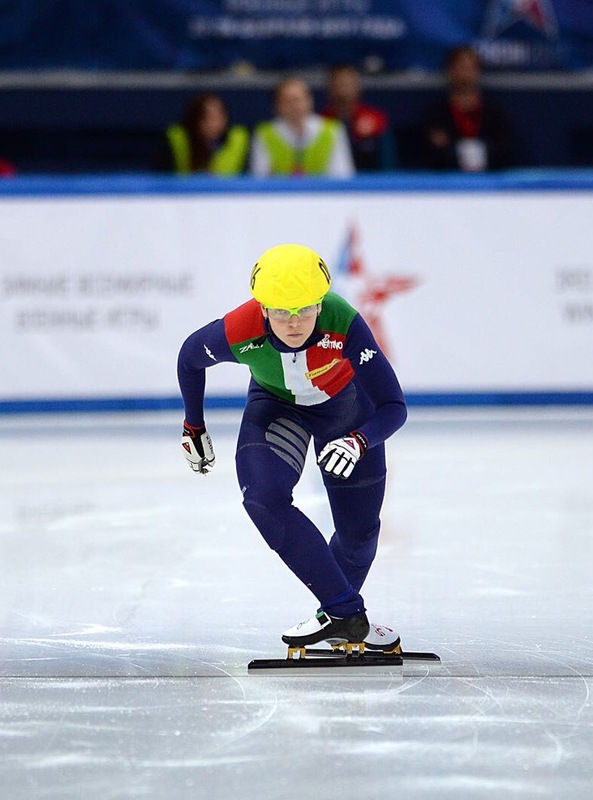 Italy won its first gold medal of the 2018 Winter Olympics, thanks to short track speed skater Arianna Fontana. Fontana took first place in the women’s 500 metres event in Pyeongchang. Arianna Fontana is an Italian short track speed skater, who won bronze in the 3000m relay at the 2006 Winter Olympics in Turin. She placed 11th in the 500m and 6th in the 1000m. Arianna specializes in the 500m event. At the 2014 Winter Olympics in Sochi, she was upgraded from a bronze to a silver medal in the 500m event after colliding with British skater Elise Christie. Christie was disqualified after causing a crash in the final. She won a bronze medal in the 1500m event and in the Team-event. Check out her complete interview with our President, Ms. Namita Nayyar, on Women Fitness. You reached the pinnacle of success by winning the bronze medal in the 3000m relay at the 2006 Winter Olympics in Turin and since then there has been no looking back. Walk us through this spectacular journey and tell us how it all began? It’s been an incredible journey in sport so far and I’m very excited about the upcoming competitive season. I am also excited about some projects that are focused on elementary aged kids who might not have enough exposure to niche sports and the benefit all sports have in the fight against obesity. As for me, lets start at the beginning; everything started when I was 4 years old. My brother Alessandro was already a skater and I wanted to be fast like him, I’ve always loved speed and figuring out how to win, skating came naturally. My first coach told me that I was not going to be a good skater. The people who know me best, know that I love to prove people wrong! So I set really high goals for myself, participate at the Olympic Games and win a medal. I was 15 in Turin and after that first medal I wanted more so I began to evolve. Since Torino, I have changed coaches 3 times. The good news is for all coaches and athletes, it is evolutionary. Some coaches are meant to take you to a certain point and then hand you off to another coach to take you to another level. It is very rare to find a coach that you can take with you on your entire journey. Reinventing myself has been the key to my success. If I wasn’t able to adapt I would never have been successful in the first place. My life as an athlete is really simple, sleep, train, eat & repeat. I train twice a day on ice plus some extra workout off ice, like run, specific training for skating and weight sessions. I don’t have lot of free time, recovery is as important as training so I can’t really do extra activities, but when I can, I do something fun and I love to try new things, recently I went for my first ride on a helicopter, it was awesome! I will say that I am fortunate to be well supported by sponsors and, in general, by the media, so I fill some of the time in-between practices with interviews and events. I try to stay focused and give the time I have to give. My training comes first and I make that a known priority.